Draft: 2001, Houston Astros, 23rd rd. Signed as a free agent with Milwaukee on 1/30... Went 3-3 with a 7.34 ERA and 1 save in 34 relief appearances... Retired 20 of 34 first batters faced (58.8%)... Stranded 8 of 16 inherited runners (50.0%)... Recorded 7 holds... Notched his only save of the season on 4/11 at St. Louis... Posted a 1.08 ERA over his first 21 appearances (25ip, 3er) as opponents batted just .198... Had a 24.11 ERA over his last 13 appearances (9.1ip, 25er) as he surrendered runs in 10 of those outings and opponents batted .519... Was on the 10-day disabled list from 6/12-7/27 with right shoulder inflammation... Was on the 10-day disabled list from 8/7-8/21, retroactive to 8/5, with a strained left hamstring... Was not on the NLDS or NLCS rosters. Right-hander with a fastball/slider repertoire that has yielded 11.7 strikeouts per nine innings while opposing batters have hit just .183 against him in his five-year professional career...His 11.7 strikeouts-per-nine rank in the top 15 of Minor League baseball since 2012...Was acquired from the Los Angeles Angels on Dec. 10, 2016, along with RHP Kyle McGowin, in exchange for INF Danny Espinosa...He was added to the Angels 40-man roster on Nov. 18, 2016...2017 will mark his first Major League Spring Training. Appeared in 30 games in an injury-shortened season, his first with the White Sox … 26 of his 30 outings were scoreless. Held opponents to a .228 (31-136) average, including a .200 (17-85) average vs. right-handers. Allowed 40.0 percent of inherited runners to score (10-25) … first batters faced batted .259 (7-27). Posted a 1.14 ERA (4 ER/31.2 IP) in the second half, the lowest among relievers in the American League and third-lowest in MLB (teammate Dan Jennings was fifth at 1.39). Made the Opening Day roster as a non-roster invitee … worked 1.0 scoreless IP in his White Sox debut on 4/9 at K.C. … struck out three over 1.1 scoreless IP on 4/15 at Cleveland. Was placed on the 15-day disabled list on 4/26 (retro to 4/20) with a broken pinky finger on his right hand … suffered the injury during an on-field altercation between the White Sox and Royals on 4/23 at U.S. Cellular Field. Appeared in eight injury rehabilitation games with Class AAA Charlotte and Class AA Birmingham (11.2 IP). Was returned from his rehab and reinstated on 7/19 … worked a season-high 2.2 scoreless IP that day vs. Kansas City … recorded his first win on 7/27 at Boston (1.2 scoreless IP). Allowed a season-high three runs on 7/31 vs. the Yankees … did not allow an earned run for the rest of the season. Made 20 consecutive scoreless appearances (22.1 IP) from 8/5-remainder of the season … his 22.1 scoreless IP streak was the fourth-longest in the American League … both scoreless streaks were career highs. His 20-game and 22.1 IP scoreless streaks were the longest by a White Sox reliever since Jesse Crain (29 G/29.0 IP) from 4/17-6/22/13. Earned his second win of the season on 8/12 vs. the Angels after working 2.0 scoreless IP (12th and 13th inning) … the White Sox won on Avisail Garcia's game-ending double. Did not walk a batter over his last 12 games (11.2 IP). Was limited to eight games with Houston due to right rotator cuff tendinitis … made the Astros Opening Day roster. Missed three days from 4/8-11 while on Paternity Leave. Was placed on the 15-day disabled list on 4/22 and missed the remainder of the season … was transferred to the 60-day disabled list on 7/25 and reinstated on 10/30. Signed with the White Sox as a free agent on 12/13/15 (acquisition recommended by Bill Scherrer and Keith Staab). Spent the entire season in the Indians bullpen in his first season with Cleveland...recorded 10 games of at least 2.0 innings pitched...his ground ball percentage of 81.3% was tops among all AL pitchers in 2013 (min. 50 apps. )...did not pitch from April 9-26 after being placed on the Family Medical Emergency List and later the Restricted List...allowed runs in just 18 of his 56 appearances...over his last 22 appearances, from Aug. 6 thru the end of the season, his ERA was 1.99 (5ER/22.2IP) and he allowed just a .205 opponent's batting average...from May 30 thru the end of the season, posted a 2.89 ERA (15ER/46.2IP)...posted a 0.82 ERA (1ER/11IP) in 11 outings in September, while allowing just a .139 opponent's batting average...made the Indians postseason roster but did not make an appearance in their one game in the playoffs. Split the 2012 season between the Boston Red Sox and Arizona, going a combined 3-1 with a 2.39ERA in a careerhigh 63 relief appearances (60.1IP, 46H, 16ER, 22BB, 44K, .215AVG)...Over Matt's final 11 outings with the D-Backs in September he posted an ERA of 1.80 (10.0IP, 9H, 2R/ER, 9K)...On the year with Boston and Arizona he limited left-handed batters to a .207 (17-82) average against....His 2.39 ERA was 2.34 points less than his total in 2011 (4.73).Limited opponents to a career-low .215 average (46-214), including a .213 mark (16-for-75) with the D-backs.... Averaged a career-low 3.3 walks per 9.0 IP...Allowed 17-of-49 (34.7%) of inherited runners to score...Posted a 1.29 ERA (2 ER in 14.0 IP) in his first 12 games from April 7-May 6. In 1st season with Boston, fanned career-high 9.46 batters per 9.0 innings (68 K's/64.2 IP), the 2nd-highest mark among qualifying club relievers (Papelbon, 12.17) and 15th best in the AL.Pitched in 56 games, matching his 2nd most in the Majors after 62 in 2010 with BAL.Entered August with 8 holds, a 2.09 ERA (10 ER/43.0 IP) and 43 strikeouts in his 1st 35 appearances of the season...Ranked 10th in the AL at that time in ERA among hurlers with at least 40.0 innings.Allowed runs in 11 of his 21 subsequent outings from 8/1 through the remainder of the season, posting a 9.97 ERA (24 ER/21.2 IP) in that time, but held opponents scoreless in 6 of his last 9 appearances beginning 9/4.Threw 13.1 scoreless innings in July, the most innings by any Major Leaguer with no runs allowed in the month...Also posted ERA's under 2.00 in April (1.50) and June (1.93). Tallied career-high 10-game/13.1-inning scoreless streak from 7/1-28...Went 8 scoreless outings from 6/4-24 (8.1 IP).Held opponents to a .228 clip (23-for-101) in road games with a 3.90 ERA (12 ER/27.2 IP) away from Boston...Had a 1.64 ERA (4 ER/22.0 IP) during day games.Struck out 2 or more batters in 6 straight outings from 7/5-25, his longest career streak as a reliever and matching the longest by any AL reliever in 2011 (also Alfredo Aceves, 8/13-27).Tied for 6th in the AL with 21 relief outings more than 1.0 inning...Threw a season-high 2.0 frames 9 times, including 4 such outings in May.Tallied holds in back-to-back scoreless outings on 9/19 vs. BAL (GM 2) (0.2 IP) and 9/20 vs. BAL (1.0 IP), snapping a season-high 21-game stretch without a hold since 7/20 at BAL.Placed on the 15-day DL on 4/8 (retro to 4/6) with a right latissimus strain...Activated on 4/21 after allowing 1 hit with 2 strikeouts over 2 rehab outings with Triple-A Pawtucket (3.0 IP).Threw 6.0 hitless and scoreless innings with 3 holds, 11 strikeouts and just 1 walk and 1 hit batter allowed over 5 relief outings against BAL, his former team.Allowed just a walk over 2.0 scoreless innings on 5/29 at DET (GM 1) for the win, his 1st victory with Boston.Earned 3rd win with 2.0 scoreless IP on 7/5 vs. TOR...Relieved Jon Lester (left latissimus strain) to start the 5th inning and threw 1.2 hitless frames before allowing a 2-out single in the 6th (Jose Bautista), Toronto's 1st hit of the game.Yielded a solo home run to Garrett Jones over 0.2 IP on 6/25 vs. PIT...The homer snapped a career-long stretch of 60 games and 77.0 IP without allowing a long ball beginning 6/13/10...The 77.0 innings had been the longest active homerless streak by an AL reliever.Matched career relief-high for the 5th and 6th times with 4 K's on 7/8 vs. BAL (2.0 IP) and 9/4 vs. TEX (1.2 IP). Led the Orioles with a career-high 62 appearances, all in relief. ... Ranked 3rd among AL relievers with 75.2 innings pitched ... Also finished among AL relief qualifiers in winning ... percentage (4th, .625, 5-3) and ground ball/fly ball ratio (10th, 2.12). ... Tossed more than 1.0 inning on 25 occasions, tops among AL relievers and 3rd in the Majors ... His 75.2 innings ... set a career relief high. ... Also set a career best with 5 wins, tied for 9th among AL relievers ... All 3 losses came in his 1st 10 appearances ... through 4/24, over which he posted a 9.35 ERA (9 ER/8.2 IP) ... Posted a 3.90 ERA (29 ER/67.0 IP) throughout the ... remainder of the season with a 5-0 record, his longest career winning streak ... Was victorious in back-to-back ... outings for the 1st time in his career, 4/30 and 5/2 vs. BOS. ... Held opponents to a .269 average (78-for-290), including a .250 mark (43-for-172) against right-handed hitters. ... Pitched to a 3.88 ERA (28.2 ER/65.0 IP) in 50 contests against teams that ended the season with a record of ... .500 or better ... Made just 12 appearances against teams that finished the year with a losing record. ... Tallied a career-high 9-game scoreless streak from 8/16-9/7 (9.0 IP) ... Posted a 3.52 ERA (9 ER/23.0 IP) over ... his last 19 games beginning 8/7, including a 0.68 mark (1 ER/13.1 IP) in a 12-game stretch, 8/7-9/7. ... Set season highs with 3.1 innings and 4 strikeouts (tied), 7/19 vs. TB ... Also had 4 K's on 7/26 at TOR. ... Pitched to a 1.93 ERA (4 ER/18.2 IP) in 10 July games, 4th among AL hurlers in that time (min. 13.0 IP) and ... 2nd among relievers after Tampa Bay's Joaquin Benoit (0.59). ... Did not allow a home run over a career-long 36 games (48.0 IP) to end the season beginning 6/13. Had four stints with the O's in 2009: April 6-11, April 15-28, May 22-August 17 and September 1-end of the season...Pitched a season-high 2.1 innings twice (July 29 vs. KC and July 10 vs. TOR)...Struck out a season-high three batters twice (September 22 @TOR and June 24 @ FLA)...Pitched to a 2.12 ERA (29.2IP, 7ER) in a 21-game stretch, June 5-July 31, to lower season ERA from 5.94 to 3.50...Allowed at least one earned run in six of his next seven appearances, August 2-16, pitching to an ERA of 24.00 (6.0IP, 16ER)...Surrendered a season-high five earned runs vs. LAA on August 16...Held righties to a .273 average and .694 OPS (170 plate appearances) but lefties hit .342 with a .929 OPS (139 PA) off him...Went 1-3 with a 3.58 ERA (37.2IP, 15ER) in the first half and 2-3 with a 7.98 ERA (29.1IP, 26ER) in the second half...Did not allow an earned run in his three victories (4.1IP) but pitched to a 23.14 ERA (4.2IP, 12ER) in his six losses...Pitched to a 0.84 ERA (10.2IP, ER) in nine Interleague games...Pitched to a 1.42 ERA (6.1IP, ER) in five games against NYY but had a 5.56 ERA (22.2IP, 14ER) against the rest of the AL East. Left his third start of the year (June 25 @CHC) after just 0.1 IP with discomfort in his right shoulder...Was placed on the 15-day disabled list June 26 with right shoulder inflammation and was transferred to the 60-day disabled list on August 20...Allowed a home run in 3 straight appearances, June 8-17 (Vernon Wells June 8 @TOR, Jose Bautista June 14 vs. PIT and Carlos LeeJune 17 vs. HOU)...Worked a season-high 3.2 IP of relief on May 24 @TB (6H, 2R/1ER, 2BB, K)...Started 3 games (April 14 vs. TOR, April 30 vs. TB and June 25 @CHC) and was 1-2 with a 6.35 ERA (11.1 IP, 8 ER)...Appeared in 25 games in relief and was 2-1 with a 2.63 ERA (37.2IP, 11ER). Had two stints with Houston, spending the last three months in the majors and the last seven weeks in the Astros' starting rotation...Ranked 8th among National League rookies in innings pitched (110.2) and strikeouts (71)...Made 18 starts among his 31 appearances for Houston...Went 3-11 with a 5.71 ERA (93.0IP, 59ER) in his 18 starts...In 13 games as a reliever, went 1-0 with a 6.62 ERA (17.2IP, 13ER)...Ranked 6th in the NL (min. 100 batters faced) with a .184 opponents batting average (23-125) with two outs...Began the season at AAA Round Rock, going 1-1 with a 6.23 ERA in 3 starts, before being called up to the majors on April 17...Started 7 games for Houston from April 20-May 23, going 1-4 with a 6.35 ERA (34.0IP, 24ER) in that span...Made his first start of the season for Houston on April 20 at Milwaukee...Limited the Brewers to 2 runs on 6 hits in 6.0 innings but did not get a decision in the Astros' 6-5 win...Earned his first Major League victory in his 8th career appearance (6th start) on May 5 at St. Louis...Tossed a career-best 7.1 shutout innings...Was optioned to Round Rock on May 24 but was recalled on June 28 for the remainder of the season...Went 1-2 with a 2.93 ERA (40.0IP, 13ER) in 6 starts while at Round Rock...Picked up his second career win and first as a reliever on July 3 vs. Philadelphia, tossing 2.0 scoreless innings in Houston's 5-4, 13-inning victory vs. the Phillies...Pitched to a 3.63 ERA (17.1IP, 7ER) in 10 July outings, including one start...Went 3-7 with 5.63 ERA (76.2IP, 48ER) in 24 games (11 starts) after rejoining the Astros....Finished the season with 9 consecutive starts starting August 14 and posted a 2-6 record with a 5.44 ERA (49.2IP, 30ER) during that span, with 4 quality starts...Recorded a career-high 8 strikeouts in his final start of the season on September 28 vs. Atlanta...Was one of 11 NL rookies to log as many as 8 strikeouts in a game in 2007...Went 2-5 with a 4.35 ERA (49.2IP, 24ER) in 15 appearances (8 starts) at Minute Maid Park...Posted a 1.80 ERA (25.0IP, 5ER) in 4 home starts from July 25-September 12...Did not record a loss at home from May 19-September 11, a span of 10 appearances, including 3 starts...Recorded his first major league hit with a single in the third inning on April 25 at Pittsburgh off ZachDukes. 23-year-old right-hander finished the season 0-2 with a 6.00 ERA in four games (two starts) for the Astros...started on Sept. 19 vs. Cincinnati...suffered the loss, allowing six hits and five runs in 4 2/3 innings...walked one and struck out three...made his Major League debut on July 25 vs. the Reds...entered in the ninth and recorded one out (fielder's choice after allowing a double)...made his first Major League start on Aug. 3 at San Diego...suffered the loss and allowed five runs and eight hits in five innings, walking three and striking out four...hitless in four plate appearances...was the fourth Astro to make his first Major League start this year (Buchholz, Nieve, Sampson), and the eighth starter used by the Astros in 2006...also tossed five scoreless innings (3rd-7th) out of the bullpen on July 27 vs. the Reds...he threw 64 pitches and allowed two hits and three walks while striking out four...optioned to Triple-A Round Rock from Houston on Aug. 4...recalled on Sept. 1...optioned to start a playoff game for the Express on Sept. 7...recalled on Sept. 16...was 2-1 with a 3.96 ERA (11ER/25IP) in four starts for Round Rock...recalled by Houston from Double-A Corpus Christi on July 21...LHP Wandy Rodriguez was optioned to the Express to make room on the roster...named 2006 Texas League Pitcher of the Year for the Hooks...was 10-2 with a 2.17 ERA (28ER/116.0IP) in 19 starts for Corpus Christi...at the time of his recall, he was leading the Texas League in wins (10) and ERA (2.17), and ranked third in the league with 95 strikeouts...held right-handed batters to a .191 average (54x283) and held all hitters to a .199 (39x196) average with runners on base while with the Hooks...Corpus Christi had a record of 14-5 in games started by Albers...had two five-game winning streaks while with Corpus Christi this season (4/18-5/9 and 6/6-7/2)...during his most recent winning streak, starting on 6/6, he was 5-0 with an 0.88 ERA, striking out 32 in 30.2 innings. Spent the season in the starting rotation at Class A Salem and posted an 8-12 mark with a 4.66 ERA in 28 games (27 starts)...led the Avalanche and ranked fourth in the Carolina League in strikeouts (146)...finished 5-1 in his last seven starts, including 8.0 shutout innings in his final start of the season on Sept. 3 vs.Lynchburg...went 4-1 in August with a 3.89 ERA and 42 strikeouts in six starts...struck out a season-high 10 batters on May 31 vs. Frederick and Aug. 18 vs. Kinston. Named a South Atlantic League All-Star and earned SAL Pitcher of the Week honors (4/23-29)...rated the No. 6 prospect in the Houston system by Baseball America...named Lexington pitcher of the month for April...led Lexington and ranked ninth in the SAL with a 3.31 ERA. Led the New York Penn-League in strikeouts (94) and ranked second in innings (86.1)...rated the No. 9 prospect in the Houston organization by Baseball America. Made 13 starts in his pro debut with Rookie-level Martinsville. ... Averaged 10.86 strikeouts per 9.0 innings (72 K's/59.2 IP). August 22, 2018 Milwaukee Brewers activated RHP Matt Albers from the 10-day disabled list. August 14, 2018 Milwaukee Brewers sent RHP Matt Albers on a rehab assignment to Biloxi Shuckers. July 28, 2018 Milwaukee Brewers activated RHP Matt Albers from the 10-day disabled list. July 24, 2018 Milwaukee Brewers sent RHP Matt Albers on a rehab assignment to Colorado Springs Sky Sox. 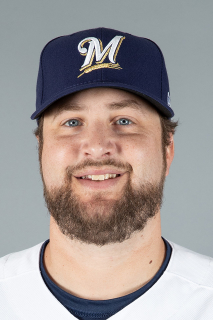 July 18, 2018 Milwaukee Brewers sent RHP Matt Albers on a rehab assignment to Wisconsin Timber Rattlers. June 12, 2018 Milwaukee Brewers placed RHP Matt Albers on the 10-day disabled list. Right shoulder injury. January 30, 2018 Milwaukee Brewers signed free agent RHP Matt Albers. November 2, 2017 RHP Matt Albers elected free agency. April 9, 2017 Washington Nationals selected the contract of RHP Matt Albers from Syracuse Chiefs. January 31, 2017 Washington Nationals signed free agent RHP Matt Albers to a minor league contract and invited him to spring training. January 31, 2017 RHP Matt Albers assigned to Syracuse Chiefs. November 3, 2016 RHP Matt Albers elected free agency. January 21, 2016 Chicago White Sox signed free agent RHP Matt Albers. November 2, 2015 RHP Matt Albers elected free agency. July 19, 2015 Chicago White Sox activated RHP Matt Albers from the 15-day disabled list. July 15, 2015 Chicago White Sox sent RHP Matt Albers on a rehab assignment to Birmingham Barons. June 26, 2015 Chicago White Sox sent RHP Matt Albers on a rehab assignment to Charlotte Knights. April 5, 2015 Chicago White Sox selected the contract of RHP Matt Albers from Charlotte Knights. February 17, 2015 Chicago White Sox signed free agent RHP Matt Albers to a minor league contract and invited him to spring training. February 17, 2015 RHP Matt Albers assigned to Charlotte Knights. October 31, 2014 RHP Matt Albers elected free agency. October 30, 2014 Houston Astros activated RHP Matt Albers from the 60-day disabled list. April 11, 2014 Houston Astros activated RHP Matt Albers from the paternity list. April 8, 2014 Houston Astros placed RHP Matt Albers on the paternity list. December 17, 2013 Houston Astros signed free agent RHP Matt Albers. April 22, 2013 Cleveland Indians activated RHP Matt Albers from the restricted list. April 19, 2013 Cleveland Indians placed RHP Matt Albers on the restricted list. April 15, 2013 RHP Matt Albers roster status changed by Cleveland Indians. April 12, 2013 Cleveland Indians placed RHP Matt Albers on the paternity list. August 2, 2012 Matt Albers roster status changed by Arizona Diamondbacks. July 31, 2012 Arizona Diamondbacks traded LHP Craig Breslow to Boston Red Sox for RHP Matt Albers and CF Scott Podsednik. April 21, 2011 Matt Albers roster status changed by Boston Red Sox. April 17, 2011 sent RHP Matt Albers on a rehab assignment to Pawtucket Red Sox. April 8, 2011 Boston Red Sox placed RHP Matt Albers on the 15-day disabled list retroactive to April 6, 2011. Sore right lat. December 16, 2010 Boston Red Sox signed free agent RHP Matt Albers. December 2, 2010 RHP Matt Albers elected free agency. September 1, 2009 Baltimore Orioles recalled Matt Albers from Norfolk Tides. August 18, 2009 Baltimore Orioles optioned Matt Albers to Norfolk Tides. May 22, 2009 Baltimore Orioles recalled Matt Albers from Norfolk Tides. April 28, 2009 Baltimore Orioles optioned Matt Albers to Norfolk Tides. April 15, 2009 Baltimore Orioles recalled Matt Albers from Norfolk Tides. April 12, 2009 Baltimore Orioles optioned Matt Albers to Norfolk Tides.